Although the term 'Qigong' came into general usage as recently as the middle of the 20th Century (for a more complete, scholarly history of Qigong, see Qigong Fever: Body, Science, and Utopia in China and a very good summary can be found in Chinese Medical Qigong), the origin of the practices (e.g. nei-gong, nei-dan, yang-sheng, and dao-yin) that now constitute Qigong predate recorded history. Qigong is self-initiated health and wellness practice consisting of a combination of movement, self-massage, meditation, and breathing. Mindfulness, a key component of meditation, produces a heightened awareness of the present moment. This includes awareness of stimuli which originates inside the body (interoception) and of the body's alignment (posture, balance, orientation), position in space, and movement (proprioception). Qigong practice puts the body into the relaxation and regeneration state (the relaxation response) where the autonomic nervous system is predominately in the parasympathetic mode. Slow, deep, diaphragmatic breathing combined with movement and mindfulness strengthens the efficiency of the immune and lymphatic systems by facilitating efficient and balanced movement of body fluids. Benefits of Qigong practice include optimizing the delivery of oxygen and nutrition to the tissues, increasing the efficiency of cellular metabolism, altering neurochemistry towards healing, managing pain and mood, reducing heart rate and blood pressure, and facilitating relaxation and mental focus. Qigong can be done anywhere, anytime. It can be practiced while sitting, standing, moving, not moving,or lying down. It is excellent for stress reduction, prevention of illness, dealing with chronic illness, healthy and active aging, and longevity. Practicing Qigong is as simple as doing the Three Intentful Corrections (adjust the posture, breath, and mind). The word Qigong ("chee-gung"), translated roughly as 'energy techniques' or 'energy skills,' refers to the ancient Chinese internal arts used since pre-historic times to promote health, emotional happiness, and spiritual development. These methods combine movement or postures, breath or mantra, and mind-intention to balance and enhance one's vital, life-energy. It has been popularly referred to as Chinese yoga, and it is a new category of exercise called moving meditation. These wellness methods formed the early root of Chinese medicine and are still considered an integral part of modern Chinese medicine, along with acupuncture, acupressure, and herbal medicine. Today, millions of people practice Qigong around the world to successfully treat a myriad of diseases, to improve general health, support longevity, and to promote psycho-spiritual growth and happiness. Most notably, Qigong practice can provide profound relief from stress and strongly enhance the body's immune function. Successful aging is related to the optimal functioning of the immune system¹. Current data published by the US Department of Health and Human Services states that some seventy percent of diseases reported in the US today are totally preventable. In a time when healthcare options appear ever more limited, the increased awareness and use of Qigong is great news. Qi has been characterized as the bioenergy of creativity, breath, function, and consciousness. Tai Chi for Health - Tai Chi is the most well-known and popular moving form of Qigong. Frequently Asked Questions - General and introductory information on Qigong. Introductory articles on Qigong - Guidelines for practice, considerations when starting Qigong and Tai Chi practice, and language used to describe Qigong. The Scientific Basis of Qigong and Energy Medicine- Qigong research and the scientific basis of Qigong. Getting Started With Qigong - How to start practicing Qigong. Qigong Fever: Body, Science, and Utopia in China - A complete, scholarly history of Qigong in 20th Century China. What is Qigong? A Short Guide for the Confused. WebMD: Tai Chi and QI Gong. Daoism and the Origins of Qigong. How Qigong Works in the Body. Qigong works strongly on the body fluids, including blood, lymph and the synovial and cerebrospinal fluids. Unlike aerobics, Qigong does not dramatically increase the heart rate during exercise. The object of Qigong is not to make the heart pump more strongly, but to increase the elasticity of the vascular system. As the vessels expand and contract with more vigor, the heart does not need to pump as strongly, thereby providing it with more rest. The lymph fluids are moved primarily by tiny muscular expansions and contractions. Qigong's relatively fine muscular expansions and contractions move lymph efficiently through the entire system. 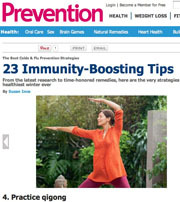 23 Ways to Boost Your Immune System. #4: Practice Qigong. This Chinese mind-body exercise combines breath control and slow movements to reduce stress and improve focus, but it may also help combat colds. Twenty-seven varsity swimmers in a University of Virginia study learned qigong, and during their seven-week training season, those who practiced it at least once a week got 70% fewer respiratory infections than swimmers who used it less. A lifestyle for healthy, active living includes exercise, nutrition, and a mind-body practice. Physical exercise and proper nutrition are necessary, but not sufficient, to maintain optimal health. 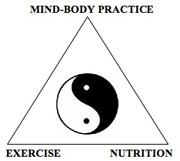 Likewise, mind-body practices without the other two are also not enough for optimal health. The mind-body practices of Qigong and Tai Chi sustain and improve the health of the immune system, nervous system, internal organs; and improve the ability to lower stress. This is accomplished through the combination of breathing, meditation, and movement. Proper posture, spinal alignment, and centering are integral components of the movement. Meditation promotes increased brain plasticity, heightened motor sensory consciousness, greater ability to focus awareness, and alteration of gene transcription to promote health and healing. Canadian review reports that physical exercise is a promising non-pharmaceutical intervention to prevent age-related cognitive decline and neurodegenerative diseases. This is one more affirmation of the beneficial health effects of the "moving" part of "moving meditation" and tai chi in particular. How Exercise And Other Activities Beat Back Dementia. The numbers are pretty grim: More than half of all 85-year-olds suffer some form of dementia. But here's the good news: Brain researchers say there are ways to boost brain power and stave off problems in memory and thinking. In other words, brain decline is not necessarily an inevitable part of aging. Harvard study links healthy lifestyle to healthy immune system. Trying to keep up with the world's fastest racewalking gerontologist, Jack Bray, would be difficult for people just half his age. 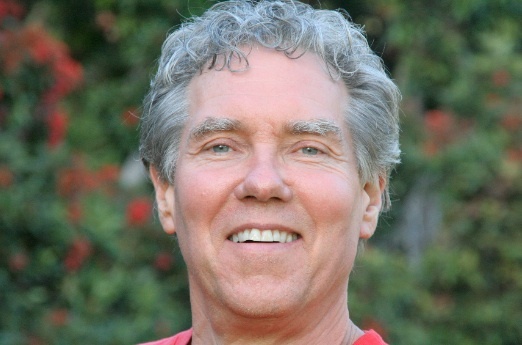 Jack has developed a winning training strategy that is built upon a foundation of Qigong. To learn more, read Walking With Qi: the Nine Jewels of Qigong Walking. Dr. Effie Chow talks about Qigong on Discoveries in Alternative Medicine. Although they define reality using different terms, quantum physics and the two main philosophies (Buddhism and Taoism) that influenced modern Qigong are in agreement on the fundamental nature of reality: It is characterized by impermanence or change, the interconnectedness of all things, and the fundamental equivalence of mass and energy. Einstein's Special Theory of Relativity describes this equivalence as "e=mc2"; the Buddhists refer to form or not form (aka "emptiness"); and the Taoists recognize yin and yang. So form, mass, and yin are describing the same state of being as are not form, energy, and yang. But how can something exist yet not exist at the same time? How does one go about exploring this conundrum beyond the realm of intellect and thought into experience and presence? A wonderful way to start is through the simple yet profound practice of Spontaneous Qigong. Spontaneous Qigong is said to be easy to do but difficult to master. This is no surprise, since one of the fundamentals of any Qigong practice is calming the mind. Shaking and dancing have been prescribed by Chinese Buddhist medical practitioners for centuries to treat a number of physical and emotional disorders. It is a highly effective method for removing energy stagnation and breaking down hardened thinking patterns. Shaking the wrists alone is considered an effective way to treat depression. Chinese Buddhist Qigong masters consider the shaking as preparation for meditation whereas the dance is the meditation. Beneficial effects are associated with whole-body vibration exercises (WBVEs). Increases in muscular strength/power, flexibility, and gait speed; improvements in bone mineral density, balance, and the quality of life; and decreased pain and risk of falls are reported. It is concluded that WBVE is effective for counteracting the loss of muscle strength associated with sarcopenia in elderly individuals. Balance and leg and plantar flexor strength improvements due to WBV indicate benefit to reduce risk and incidence of falls, frailty, and fracture risks. WBV is a form of spontaneous Qigong. The Effect of Whole Body Vibration on Exercise-Induced Muscle Damage and Delayed-Onset Muscle Soreness. Effects of whole-body vibration on heart rate variability: acute responses and training adaptations. Heart rate variability (HRV) is a noninvasive and practical measure of cardiac autonomic nervous system function, mainly the sympathetic and parasympathetic modulations of heart rate. A low HRV has been shown to be indicative of compromised cardiovascular health. Interventions that enhance HRV are therefore beneficial to cardiovascular health. WBV training appears to be a useful therapeutic intervention to improve cardiac autonomic function in different populations, mainly through decreases in sympathovagal balance. Spontaneous Qigong (whole body vibration) as effective as Pilates on bone mineral density in postmenopausal women. Whole body vibration increases bone mineral density in elderly osteoporotic individuals. RELEVANCE OF WHOLE BODY VIBRATION EXERCISE IN SPORT: A SHORT REVIEW WITH SOCCER, DIVER AND COMBAT SPORT. Whole body vibration, a form of spontaneous Qigong, improves physical condition of athletes in many sports. Whole body vibration improves postural balance performance and muscle power output in patients with COPD. 4-week whole-body vibration improves bone mineral density. Daily vibration may help protect aging bones. Whole-body vibration useful modality for the reduction of cardiovascular risk in sedentary people. Whole body vibration program found to be a practical, less time-consuming, and equally effective alternative to a standard exercise program during ACL-rehabilitation. Effects of whole body vibration training on body composition, skeletal muscle strength, and cardiovascular health. Whole body and local muscle vibration immediately improves quadriceps function. Movement Therapies and Relaxation Techniques help manage health conditions among children. Use of complementary and alternative medicine (CAM) by children under 18 y of age in the United States is becoming more prevalent. According to an analysis of procedures in chiropractic practices in 2010, more than 96% of chiropractors in the United States recommended use of movement therapies (MT) and relaxation techniques (RT) to their patients. The current research suggests that early training on MT and RT can be seen as a useful tool that can help prevent or manage certain health problems, including anxiety, stress, and attention deficit disorders, asthma, and back/neck pain. Meditative Movement for Depression and Anxiety. "Meditative movement is a term identifying forms of exercise that use movement in conjunction with meditative attention to body sensations, including proprioception, interoception, and kinesthesis. We clarify the differences between meditative movement and conventional exercise, present descriptions of several of the key methodologies of meditative movement, and suggest how research into these practices may be approached in a systematic way. “Mind” in this context means “awareness” and not “conceptual thought.” In MM the mind is neither engaged in conceptual activity nor focused on a future goal, nor is it in the “default mode” of mind-wandering (50), but instead is focused on direct bodily experience. We view this spatial/interoceptive/proprioceptive/kinesthetic focus of awareness as the principal defining characteristic of MM. The practitioner’s awareness is on the kinesthetic sensations of the whole body moving through space; the flow of breath and blood and other visceral sensations; the experience of balance, orientation, and posture; and the felt sense of space – quite different from physical awareness in conventional exercise." The Qigong documentary Qigong - Ancient Chinese Healing for the 21st Century, produced and directed by Francesco Garripoli for PBS-TV, was seen by over 88 million viewers after it began airing in 1998 according to Nielsen Ratings. This documentary was shot by Francesco during his years of living in China and study with amazing Qigong Master healers such as Master Wan Sujian as well as Master Luo and Master Duan, who passed away at over 100 years old. This fifteen minute overview of the one hour program features a voice over by Daisy Lee and Francesco and is available on DVD along with interviews of Francesco. Visit the Qigong Institute Store. Qigong is a very all-inclusive modern Chinese term that applies to integrated mind-body-breathing techniques and practices. It encompasses all forms of energy exercises, mind-body healing or therapies, internal cultivation skills and practices, and meditative practices. Daoist and Buddhist spiritual and meditative practices, a significant portion of Traditional Chinese Medicine, soft martial arts such as Tai Chi as well as energy healing practices can be considered as Qigong. In this sense Reiki, yoga, TM, pranic healing and other meditations would all be called Qigong in China. "The most profound medicine is produced in the human body for free." "American society is based on self reliance -- everywhere except healthcare." Cultivating Qi and Activating the Healer Within is a compelling article on why Qigong can have such a profound impact on the delivery of health care. Dr. Jahnke’s message is simple, striking, and empowering: The most profound medicine is not at the hospital, pharmacy, or doctor’s office. It is produced within us through the balance and harmony of physiology, mind, and spirit. According to Dr. Jahnke, all of the necessary components of self-healing have been in place within us since the beginning of the human race. Both ancient and contemporary philosophers have pointed to our naturally occurring self-healing capacity and contemporary science has confirmed the spontaneous function of self-repair and self-restoration. Reducing stress is an extremely important skill, given that the American Institute of Stress lists stress as America's #1 health problem and that 75 - 90 percent of visits to primary care physicians are stress related. Also see Dr. Jahnke's interview in EXPLORE magazine where he explains in more detail the profound health benefits of Qigong and how people can actually heal themselves: A Conspiracy of Miracles: Qi, Spirit-Mind-Body, and the Transformation of Healthcare. Qi Gong: What is chi energy? Can any person harness their own chi energy? How? "Qi is the foundation of everything in the world view of the ancients in Asia. Qi, Chi, Ki, Prana — are all references to a feature of nature that pervades everywhere filling all of what we call space and penetrating all of what we call matter." "Qigong is not just a set of movements, not just meditation, mantra recitations, or cultivation of qi. Qigong is a path of life mastery, a path to enlightenment. The movements, mantras, and meditations are tools that are used towards that end. The tools should not limit you. They should help you grow...A Qigong form is meant to assist a person in gaining the health, energy, and sensitivity needed to expore the more spiritual dimensions in life. After the basics of Qigong are learned, proper posture and alignments, etc., the student is ready to explore some of the deeper aspects of the art. What happens to some practitioners of spiritual movement systems such as Qigong ... is that they strive for perfection of the form, that is, perfection of the outer form, their posture and alignment. And they end up ignoring the inner experience... What is most important is what is happening on the inside, the energetic, meditative, and spiritual aspect of the art." Richard. The entire article appears in the Fall 2003 issue of The Empty Vessel. Qigong is an integration of physical postures, breathing techniques, and focused intentions. Qigong practices can be classified as martial, medical, or spiritual. All styles have three things in common: they all involve a posture, (whether moving or stationary), breathing techniques, and mental focus. Some practices increase the Qi; others circulate it, use it to cleanse and heal the body, store it, or emit Qi to help heal others. Practices vary from the soft internal styles such as Tai Chi; to the external, vigorous styles such as Kung Fu. However, the slow gentle movements of most Qigong forms MORE. "A program of regular exercise that includes cardiorespiratory, resistance, flexibility, and neuromotor exercise training beyond activities of daily living to improve and maintain physical fitness and health is essential for most adults....Neuromotor exercise training, sometimes called functional fitness training, incorporates motor skills such as balance, coordination, gait, and agility, and proprioceptive training. Multifaceted physical activities such as tai ji (tai chi), qigong, and yoga involve varying combinations of neuromotor exercise, resistance exercise, and flexibility exercise. Neuromotor exercise training is beneficial as part of a comprehensive exercise program for older persons, especially to improve balance, agility, muscle strength, and reduce the risk of falls." American College of Sports Medicine position stand. Quantity and quality of exercise for developing and maintaining cardiorespiratory, musculoskeletal, and neuromotor fitness in apparently healthy adults: guidance for prescribing exercise. An important component of Chinese culture and Traditional Chinese Medicine (TCM) is the principle of ‘Yang Sheng’. ‘Yang’ translates to ‘taking care of, to ‘nourish’ or ‘nurture’ and ‘Sheng’ translates to ‘birth’ and ‘vitality’. Together the words mean to ‘nurture or nourish life’, to ‘foster a state of wellbeing by nurturing mind, body and spirit’. Yang Sheng is a manageable practice for all people, aimed at cultivating health and harmony through daily activities. The focus is on maintaining balance through an awareness of our connection with nature and our environment, our physical bodies and our spirit. Health preservation (instead of disease treatment) is an essential feature of TCM practice and is significantly different than Western medicine, which mainly focuses on disease and illness. The word Qigong is made up of two Chinese characters, ‘Qi’ and ‘Gong’. ‘Qi’ (Chi) translates to the ‘energy of life’, the vital energy which flows through the network of meridians in the body and connects with the energy or Qi of the universe. In Japan and Korea it’s known as ‘Ki’ and if studying Yoga the term ‘Prana’ is used. Most cultures have a similar terminology for life energy. ‘Gong’ (Kung) is a term which translates to ‘work, mastery, skill and training’. The two words therefore translate to ‘energy work’, ‘working with the energy of life’ or ‘mastering the energy of life’. MORE. Mindful exercise and mental health. How is mindful exercise like Qigong different from normal western exercise and why should you practice it? The concept of Qi energy has been an integral component of Eastern philosophy and medicine for thousands of years. However, there is no single accepted definition of Qi. Some people think that Qi is an electric energy, while others believe it is magnetic energy, or heat energy. Scientists have long been interested in measuring Qi but it cannot yet be measured by any medical science or explained via physics. However, there is a lot of science behind Qigong – more so than any other form of Energy Medicine. ...More. 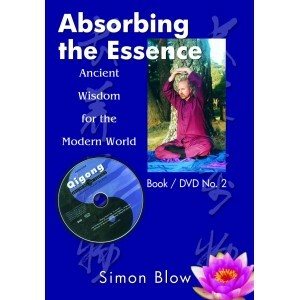 From: Absorbing the Essence, www.simonblowqigong.com. Exercisers Slow It Down With Qigong. The face of exercise is changing in America. Instead of relentlessly pursuing a sculptured physique, people are chasing longevity, stress reduction and improved health through mind-body practices like qigong. There are thousands of different types of Qigong. 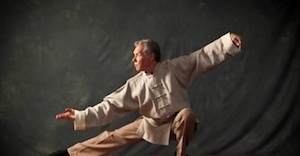 Arguably the most popular type of Qigong for martial arts is zhan zhuang (“jan jong”). This is also known as “stake standing”. The practitioner stands motionless in a particular posture to develop internal strength. A widely practiced form of zhan zhuang is Wuji Qigong. It is very easy to practice yet is said to be difficult to master. Standing Qigong practice develops integrated body/mind awareness and focus, called “sung” in Chinese. Some masters train only using this form of Qigong. Shown is Chen style Tai Chi Grandmaster Chen Qingzhou demonstrating zhan zhaung. Bioelectricity, Qi, and the Human Body. Qi is the electric energy associated with living organisms. Electricity, defined by Merriam-Webster, is as follows: a fundamental form of energy observable in positive and negative forms that occurs naturally (as in lightning) or is produced (as in a generator) and that is expressed in terms of the movement and interaction of electrons. Generally speaking, when thinking of electricity, we think of it as something external to our human bodies: the naturally occurring lightning and human created technology being two said instances. There is, however, a form of electricity that is prevalent in every living creature: bioelectricity. These are amazing gatherings of world-class Qigong and Tai Chi experts and western medical doctors, PhD's, and research experts. For information visit East West Healing Arts. Qigong Institute Founder Ken Sancier is one of the experts interviewed in the following video. "The science and art of Qigong may open a window into new thinking about health, medicine, psychology and spirituality. It is a physical, mental and spiritual practice that continuously supports our natural tendency toward homeostasis. Innate abilities have an opportunity to develop; the senses more keen, organ function more consistent and strong, the sympathetic nervous system relaxed, parasympathetic nervous system efficient, the mind relaxed, alert, clear, freely channeling messages in a multitude of new and diverse directions." Dr. Ken Sancier, Founder of the Qigong Institute. Although the practices that are today called 'Qigong' are millennia old, the term 'Qigong' was coined in the mid-20th Century. The Man Who Invented "Qigong" by John Voight was originally published in the Autumn 2013 issue of Qi Journal. This and other issues of Qi Journal can be purchased from Insight Publishing. A more complete scholarly history of Qigong in 20th Century China can be found in Qigong Fever: Body, Science, and Utopia in China. Chinese Medical Qigong. The Introduction to the English Edition of Chinese Medical Qigong discusses the origin of Qigong and its use as a clinical therapy. An Interview with Roger Jahnke, O.M.D. Although there are as many recovery techniques on the market as there are exercises, qigong (chee-gong) presents a unique and previously unexplored method to eliminate the negative effects of stress and give you a 25% increase in strength in 8 weeks. Read entire article. Full thesis: THE IMPACT OF SELF-PRACTICE QIGONG ON STRENGTH GAINS AND WELL-BEING DURING OFF-SEASON TRAINING FOR FALL SPORT ATHLETES. This section lists just a few of the benefits of Qigong. Also see RESEARCH and RESOURCES drop-down menus on the HOME page. The Top 7 Reasons to Practice Qigong and Tai Chi. Restore the Immune System with Qigong. "Calming the mind and calming the body allows healing. Strengthening the muscles through simple postures and movements prevents falls. Moving with flow and gentle weight bearing helps balance and can positively impact bone density. Achieving a relaxed state of the mind reduces stress. These are some of the simple premises that underlie the health benefits of Qigong and Tai Chi." Health Benefits of Tai Chi and Qigong. Harvard Medical School: Breath meditation: A great way to relieve stress. "One of the easiest ways to reduce stress is to simply focus your attention on your breath. It's a form of "entry level" meditation that anyone can do. You'll notice an immediate sense of relaxation that could help protect your health over time. If you enjoy it, breath meditation can be a gateway to a broader practice of "mindfulness," in which you learn to accept and appreciate what comes in life and stop fighting your own thoughts and feelings. "Many people take up mindfulness practices thinking they'd like to relax more, but where it leads is a very different approach to life and its inevitable challenges," says Dr. Ronald D. Siegel, assistant clinical professor of psychology at Harvard Medical School. Dr. Herbert Benson describes the myriad health benefits of mind-body practices such as Qigong and Tai Chi. Surgery and pharmaceuticals are unable to treat the vast majority of stress-related illness. Children should be taught these practices. They can dramatically reduce stress and health care costs. After years of living with the debilitating autoimmune disorder lupus, Jana Eshaghian discovered qi and healing through Qigong. "I am a physician. I attended Dartmouth Medical School. I trained as a pediatrician at Duke and then trained as a psychiatrist at Mass General Hospital....I do Qigong or Tai Chi every day. I think of it as medicine, too. Can I say for sure that it has worked for me? Not with a double blind study, but I do believe that my investigations have led me to a plan which has helped me and maybe could help you, too. At my last visit my rheumatologist told me that the Tai Chi and Qigong have probably helped my bone density stabilize at osteopenia. Let me tell you some of what I have learned through my experience. Calming the mind and calming the body allows healing. Strengthening the muscles through simple postures and movements prevents falls. Moving with flow and gentle weight bearing helps balance and can positively impact bone density. Achieving a relaxed state of the mind reduces stress. These are some of the simple premises that underlie the health benefits of Qigong and Tai Chi." MORE. Go with the Flow - Tai chi and qi gong are two gentle practices designed to keep your energy moving. The Qigong Institute is quoted in Energy Times magazine. Christina Barea, author of QiGong Illustrated discusses Qigong. "Tai Chi, Qigong, Yoga will play an important part in the global awakening." Daisy Lee gives a short introduction to the essence of Qigong. Mawangdui Daoyin Shu: Qigong from the Mawangdui Silk Paintings (Chinese Health Qigong). Daoyin exercises are a form of Qigong dating back to at least the early Han Dynasty. They are physical and breathing exercises done in various postures and movements. The most well known type of Daoyin Qigong is Mawangdui Daoyin Shu. Qigong with Tom Rogers (video 36:37). Tom Rogers, President of the Qigong Institute, gives an interview describing what Qigong is, how it works, and what it does. He reviews some of the scientific studies validating its value. He also explains that Qigong is a moving meditation that pays attention to the breath. The emerging field of epigenetics emphasizes how we can change the expression of our DNA through lifestyle strategies. He also reviews the biological basis for life from the perspectives of energy medicine that includes light, electromagnetics, sound and biochemistry. Another interview can be found on blogtalkradio (audio 70:00). Feasibility and Acceptability of Qigong Exercise in Community-Dwelling Older Adults in the United States. "The therapeutic role of Qigong exercises combined with drugs is reported for three medical conditions that require drug therapy for health maintenance: hypertension, respiratory disease, and cancer. In these studies, drugs were administered to all patients who were divided into two groups, a group that practiced qigong exercises and a control group that did not. Taken together, these studies suggest that practicing Qigong exercises may favorably affect many functions of the body, permit reduction of the dosage of drugs required for health maintenance, and provide greater health benefits than the use of drug therapy alone. For hypertensive patients, combining qigong practice with drug therapy for hypertensive patients resulted in reduced incidence of stroke and mortality and reduced dosage of drugs required for blood pressure maintenance. For asthma patients, the combination therapy permitted reduction in drug dosage, the need for sick leave, duration of hospitalization, and costs of therapy. For cancer patients, the combination therapy reduced the side effects of cancer therapy. Also reported is a study showing that the practice of Qigong helps to rehabilitate drug addicts." Ken Sancier. For more abstracts, see the Qigong and Energy Medicine Database™ . Also see the abstracts of research published by the Qigong Institute as well as a Review of Qigong for Cancer Treatment, the Anti-Aging Benefits of Qigong, the Use of Qigong Therapy in the Detoxification of Heroin Additcs, Qigong and Neuorlogical Illness and other published Scientific Papers. "There is the widespread belief in our culture of the technological fix. This extends especially to drugs that are used to address chemical imbalances. In the meantime, prevention, nutrition, exercise, healthy living habits, and self-healing have been de-emphasized or discarded. Just a few of the consequences of this are a dramatically over-weight population and degenerative diseases that have replaced infectious diseases as the most pressing health issues...Adverse drug reaction is a leading cause of diseases and death. Chemical cures are still unpredictable. In spite of their 'precision' dosages, there is insufficient research on what else is going on in other parts of the brain and body when these drugs are administered...Some non-energetic conventional remedies are widely used, and even reimbursed by insurance companies, but have not been proven to be medically or cost effective and have side effects that can be harmful." Tom Rogers, President, Qigong Institute. With a regular practice, qigong benefits can be felt almost immediately. Pronounced “chee-gung”, qigong is an ancient form of Chinese yoga that cultivates “qi” (life energy) also known as chi and incorporates deep breathing and stretching. Chinese shamans, Taoists and Buddhist monks originally practiced qigong thousands of years ago as a way to seek peace and harmony with nature. More. The article's description of the difference between Qigong and Tai Chi is not accurate. Qigong is the foundation of Tai Chi and there are many Qigong forms, just like Tai Chi, e.g. Wild Goose Qigong. Some real differences are that Tai Chi does not have qi transmission and self-massage, and Qigong does not have push hands. Other than that, good article. A more extensive discussion of the differences between Qigong and Tai Chi can be found on the What is Tai Chi page on the Qigong Institute website.